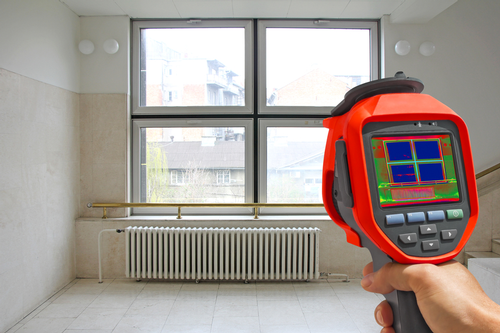 Know exactly how to cut costs by improving building energy efficiency? The U.S. government wants to hear from you. The General Services Administration and the Department of Energy recently announced a joint Request for Information, seeking next-generation building technologies to help both entities reduce the cost of running both commercial and government buildings. The RFI is associated with GSA’s Green Proving Ground and the DOE’s HIT Catalyst Program. Both programs seek to improve the energy efficiency of the country’s structures through the use of innovative technologies. The General Services Administration and the Department of Energy are seeking next-generation building technologies to help reduce the cost of running commercial and government buildings. The Green Proving Ground is aimed at reducing federal spending by improving the efficiency of government buildings. The HIT Catalyst Program seeks to identify “high-impact technologies” for improving efficiency in private, commercial buildings and fast-track those technologies for the market. The joint RFI seeks “emerging and underutilized technologies that have the potential to improve economic and environmental performance” in both types of buildings. This year’s RFI specifically seeks innovations in the following categories: smart energy analytics; cold climate heat pumps; fans and blowers; chillers, refrigerants and alternatives to vapor compressor HVAC; and water conservation and reuse. Selected applicants will be matched through one of the programs with building owners or managers to pilot their technology and further test and evaluate its effectiveness. The deadline for applications is Friday, Nov. 18, 2016. The application can be filled out here.